In the last few years, since around 2016, there’s a concept that’s been gaining popularity. This concept is known as “Serverless Infrastructure”. 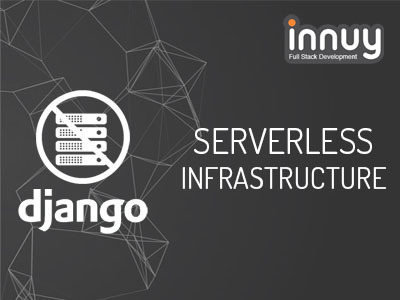 Having a serverless infrastructure allows you to have a project running live, but without any permanent infrastructure. This means that when no requests are arriving for the server, there will be no servers actively running. When a request is received, the server will turn on, answer the request, and then shut down. This serverless approach has one big benefit: server resources will only be in use while they are required, leaving in the past the problem of idle servers. This tutorial will focus on AWS as it is one of the most widely used cloud providers in the world. Takes care of running and scaling your code (no need to worry about the horizontal scale, Lambda has that covered). Only pay for what you use (save money by only paying for actual usage, no usage, no charge). Both frameworks are up to the task, but 'Zappa' is focused on serverless Python, while 'Serverless' allows you to deploy code of several programming languages like Node, Python, Java, PHP, among others. For this tutorial, we will use Zappa for its simplicity and because it’s python focused. There is currently an open task in Zappa for a proper definition of the permissions needed. In the meanwhile, there are two approaches you can take: be flexible with the permissions or do some trial and error until reaching the minimal permissions you need for your app. It’s recommended to remove the IAM permission after Zappa creates the user the first time. After the user is ready, make sure you have the proper awscli configuration, you can find quite a good guide on the Serverless page. We will be deploying a simple project that was developed for this tutorial. The project itself is not really important, so please focus on learning how to add Zappa support to an existing Django project. The project can be found here. After running that command you'll be asked a few questions. I recommend you leave everything as default if it’s your first time. Zappa has many additional configuration settings. If you need something more specific, please take a look at the documentation for more advanced use cases. You should be taken to the django admin… but static files are missing! # zappa manage dev "collectstatic --noinput"
You should now see the admin perfectly. You can try creating a user by running the project locally and running the createsuperuser command from manage.py. Your app should be running completely serverless!! And everything is off (the buckets are still there though). Deploying a Django project in Lambda using Zappa is quite easy. I recommend you to try it out!